When Queen Victoria died on 22nd January 1901, she had been Queen for a remarkable 63 years, 7 months and 2 days. However, this feat is due to be overshadowed by that of her great-granddaughter Elizabeth who, at 5:30pm tomorrow, will take that crown from her and replace her as the longest serving monarch in British history…and Alex can’t wait. To say that Alex has been a huge supporter of the Queen for her entire life would be an understatement. From the age of 18 months old, it was clear that she had a special affinity with the Queen which manifested itself in her throwing her dummy in front of the Royal carriage in an attempt to stop the procession. She has had a strangely neurotic beef with both Royal babies who she sees as stealing the limelight from her Queen, and has cried with joy at every one of her birthdays that she has been alive for as well as her Golden and Diamond Jubilee’s. In preparation for tomorrow, Alex has completely outdone her mad, mentally unstable self. She has washed and ironed her Union Jack bedding, which only ever sees daylight for Royal occasions (except those to do with Royal babies), has places her canvas of the Queen in pride of place on her bedroom wall and has her limited edition Queen Elizabeth II ice cream scoop washed, prepped and ready for the big announcement at 5:30pm. However, she has pushed herself over the edge…and not in a sane, mentally balanced sort of way. 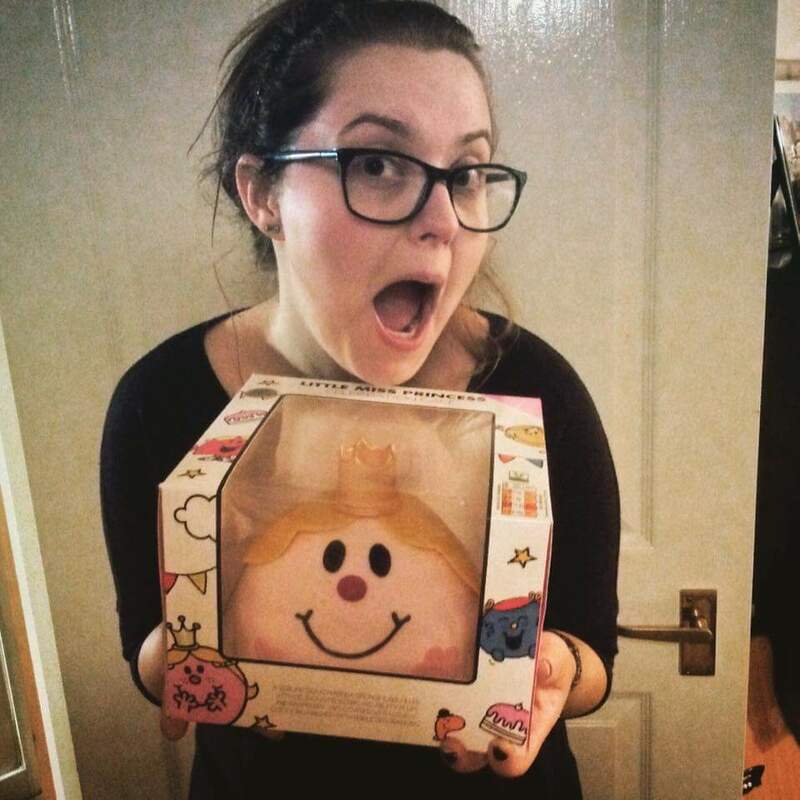 After hours of searching round many different stores, she finally found a cake with a crown that….wait for it…she insists looks exactly like the Queen. 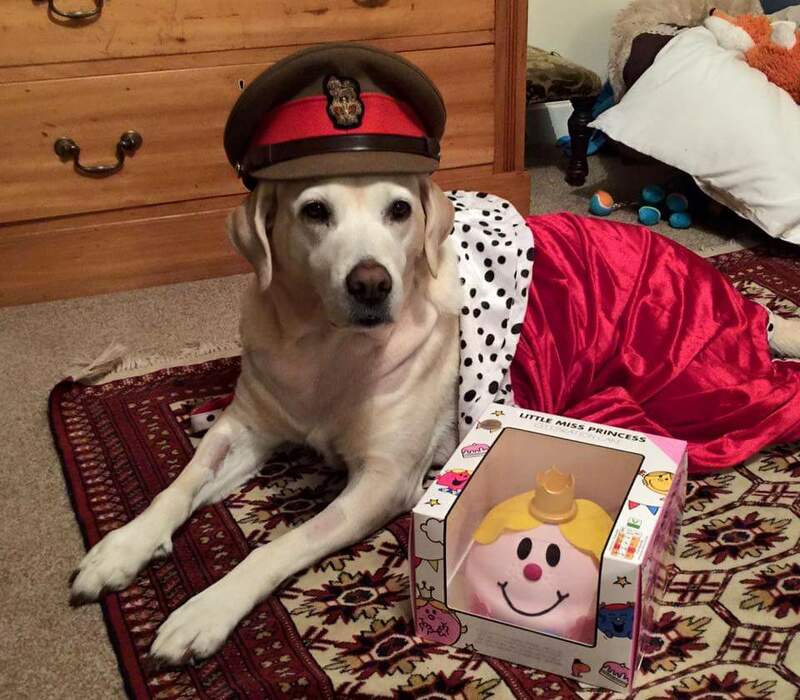 Not only is she super excited about this, as you can tell from the maniacal expression on her face, but she has also convinced herself that our dear Labrador, Willow, has assumed the role of Keeper of the Cake. She has searched high and low to find her a uniform, and has settled on this rather odd combination of children’s dress up and military uniform. 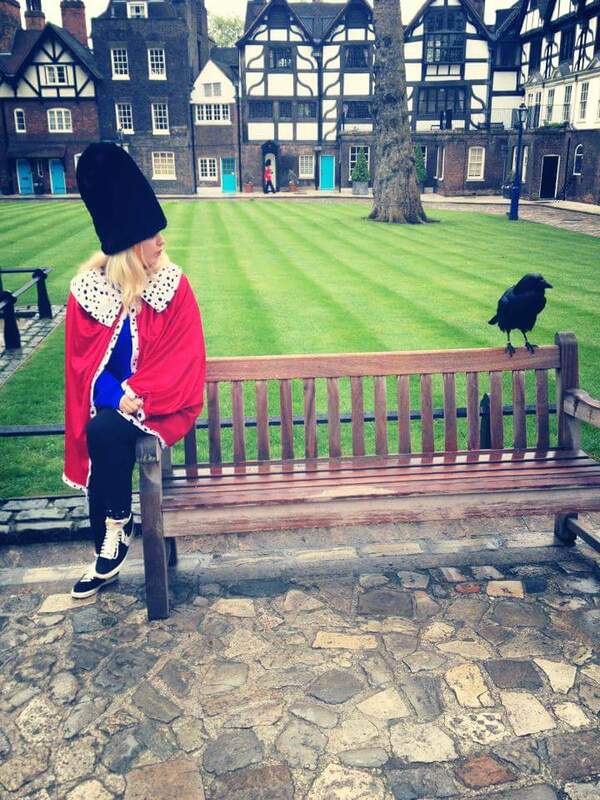 Those of you who have seen The Tower of London Dare: THAT Video may recognise the cape. I have attempted to point out that the Queen is, in fact a Queen and not a Princess, and so Alex’s cake is flawed from the outset. 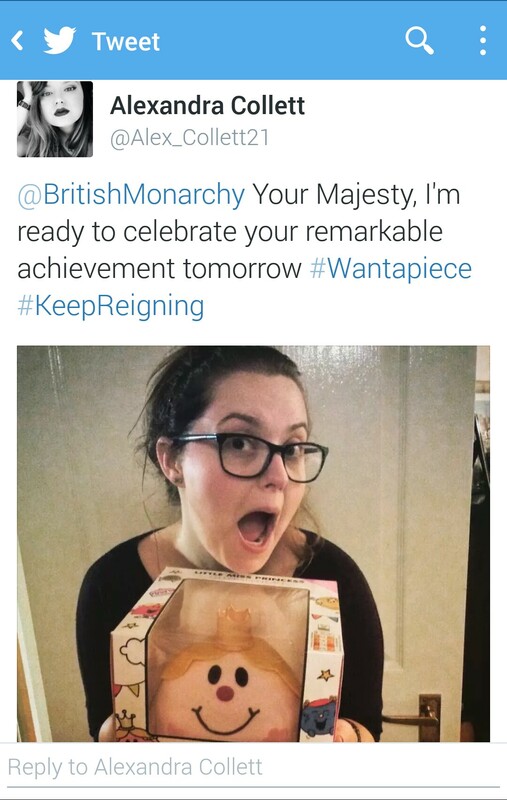 Her retort, however, was that the likeness of the cake was strong enough to overshadow any issue of title which the cake may have (I thought at this point that mentioning cakes can’t have titles was a moot point) and that “she was Princess Elizabeth once so she won’t mind!” To prove me wrong, she even tweeted a picture of herself with the cake to the Queen herself, as well as several newspapers…. Has she finally lost the plot? Stay tuned…. Sign up via e-mail to follow Rex Reports and receive notifications of new posts. Like Rex Ink on Facebook!